Luke 14: 27-30 For I say unto you, That none of those men which were bidden shall taste of my supper. And there went great multitudes with him: and he turned, and said unto them, If any man come to me, and hate not his father, and mother, and wife, and children, and brethren, and sisters, yea, and his own life also, he cannot be my disciple. And whosoever doth not bear his cross, and come after me, cannot be my disciple. For which of you, intending to build a tower, sitteth not down first, and counteth the cost, whether he have sufficient to finish it? Lest haply, after he hath laid the foundation, and is not able to finish it, all that behold it begin to mock him, Saying, This man began to build, and was not able to finish. Gods Grace Ministries will strive to locate called and chosen vessels of God to serve as clergy in the Shepherds Heart Ministry. There, they will receive training and guidance in the ministry. Those that are appointed as Associate Pastors will be equipped with all they need to know in order to Pastor their own church. They will receive their direct orders from God and Gods Grace Ministries will help to give direction and resources to carry out the vision God has given. 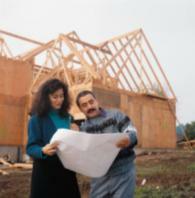 Pastors for the churches Gods Grace Ministries will build will come from within the Gods Grace Ministry. Whether the individual is a member who became a part of the clergy, or a clergy official who joined from another church, they will be eligible through consecrated discernment to be an Associate Pastor. This will allow Gods Grace Ministries to have an anointed group of clergy to Pastor Churches built by the ministry, as well as those ministries in fellowship who are looking for an individual to fill a Pastoral position. In this manner, we can fulfill the Word in not having a novice to Pastor a church, but they would have worked and studied to show themselves approved by God, and seasoned in ministry. Associate Pastors, therefore, would have to be willing to relocate to different cities or states in order to Pastor a church established by Gods Grace Ministries. Once installed as a Pastor, that individual would be networked in the Gods Grace Ministry and have access to all resources and guidance needed to Pastor that ministry effectively. 1) Have a true calling from God to Pastor. It is our desire to only place an individual into their calling. Allowing a Prophet to Pastor a church would be placing that person outside of their calling. Only those called to Pastor should seek a Pastoral role. 2) Be an active member of the Shepherds Heart Ministry. This will make sure that all the training and guidance has been given in developing the individual into a Pastor according to Gods will. 3) Have an entrepreneurial mind. Being that the laws of the land require churches to establish themselves as businesses, that person must know all the details of the laws that govern establishing and operating a ministry. Degrees and Seminary/Theological training is not a requirement. The individual should let their works speak for them, not a degree. Those who are interested in ministry opportunities, please contact us for more information. The purpose of establishing a fellowship is to provide a connection with that church to Gods Grace Ministries. Gods Grace Ministries will serve as a covering so that resources and guidance can be provided to that church. This of course would be for churches which are already established but have a desire to live to a higher standard of living accord to Gods Word and not mans traditions. Gods Grace Ministries can assign leadership to fellowship with that church for a season to help equip that church, establish or enhance discipleship training, and/or intercessory prayer for that church. A) An application will be designed in which the ministry will complete and return. There will be no application fee for this process. The purpose of the application will be to document information about the ministry so that Gods Grace Ministries can learn about that churchs history, vision, leadership structure, and goals. This information will be used to develop an action plan for that church should guidance and resources be needed. B) The second step is a staff of officers will be sent to fellowship with that church for a season to discern the church and establish the connection between the ministries. The report from this staff combined with the application will complete the official fellowship status, and another staff will be created to give that church the guidance and resources it may need. C) Gods Grace Ministries will then be available for assistance with any church matter, such as licensing, ordinations, installations, etc. It will not be the practice of Gods Grace Ministries to come in to control or change the church, but to give what is needed based on request. We will not handle official church problems, but will offer intercessory prayer and guidance to seek resolution according to the way scripture would have us to do. That church should be governed by the body and the officers of that ministry, not Gods Grace Ministry. If such church desires that Gods Grace Ministry govern them, it should be duly noted and amended into their bylaws before Gods Grace Ministries will attempt to offer any direction in that matter. The staff that is used should include preferably three members of the Shepherds Heart Ministry. The preferred roles should be one Prophet, one Minister or Evangelist, and one Deacon. Members may also participate in this staff to fellowship with the church for a season. We will strive to become FAMILY! Churches who are already established and are already living to the standards of God will be automatically placed into full fellowship. This will be determined once the application and the ministry staffs report has been submitted to and reviewed by the Executive Committee. Mission: Jabez and Church Fellowships ministries will help to coordinate this process. Churches who are established and is not found to be living the standard would be offered guidance and training to help them to reach the standard. Again, it is our policy to accept any believer in Christ who desires to live to the standards of God, and reject no one. Those ministries interested in joining the God's Grace Fellowship of Churches, please contact us for more information. John 1:35-50 Again the next day after John stood, and two of his disciples; And looking upon Jesus as he walked, he saith, Behold the Lamb of God! And the two disciples heard him speak, and they followed Jesus. Then Jesus turned, and saw them following, and saith unto them, What seek ye? They said unto him, Rabbi, (which is to say, being interpreted, Master,) where dwellest thou? He saith unto them, Come and see. They came and saw where he dwelt, and abode with him that day: for it was about the tenth hour. One of the two which heard John speak, and followed him, was Andrew, Simon Peter's brother. He first findeth his own brother Simon, and saith unto him, We have found the Messias, which is, being interpreted, the Christ. And he brought him to Jesus. And when Jesus beheld him, he said, Thou art Simon the son of Jona: thou shalt be called Cephas, which is by interpretation, A stone. The day following Jesus would go forth into Galilee, and findeth Philip, and saith unto him, Follow me. Now Philip was of Bethsaida, the city of Andrew and Peter. Philip findeth Nathanael, and saith unto him, We have found him, of whom Moses in the law, and the prophets, did write, Jesus of Nazareth, the son of Joseph. And Nathanael said unto him, Can there any good thing come out of Nazareth? Philip saith unto him, Come and see. Jesus saw Nathanael coming to him, and saith of him, Behold an Israelite indeed, in whom is no guile! Nathanael saith unto him, Whence knowest thou me? Jesus answered and said unto him, Before that Philip called thee, when thou wast under the fig tree, I saw thee. Nathanael answered and saith unto him, Rabbi, thou art the Son of God; thou art the King of Israel. Jesus answered and said unto him, Because I said unto thee, I saw thee under the fig tree, believest thou? thou shalt see greater things than these. The purpose of the vision is for those who chose to follow Gods Grace Ministries, to be ultimately led to follow Jesus Christ. For it is not all about following Gods Grace Ministries; it is about following Christ. Its not about the man who has the vision, but THE One who gave the vision. And that One is God. So dont follow me, follow God! Amen.